Yet another busy weekday at the office of Handmade hope with steaming chai on my table. So it was an interesting beginning when the first call of the day came through on our Handmade Hope no., it was a man talking with lots of background noise of the vehicles honking. I assumed he was calling standing somewhere in the traffic. So, he wanted to order paper bags obviously. 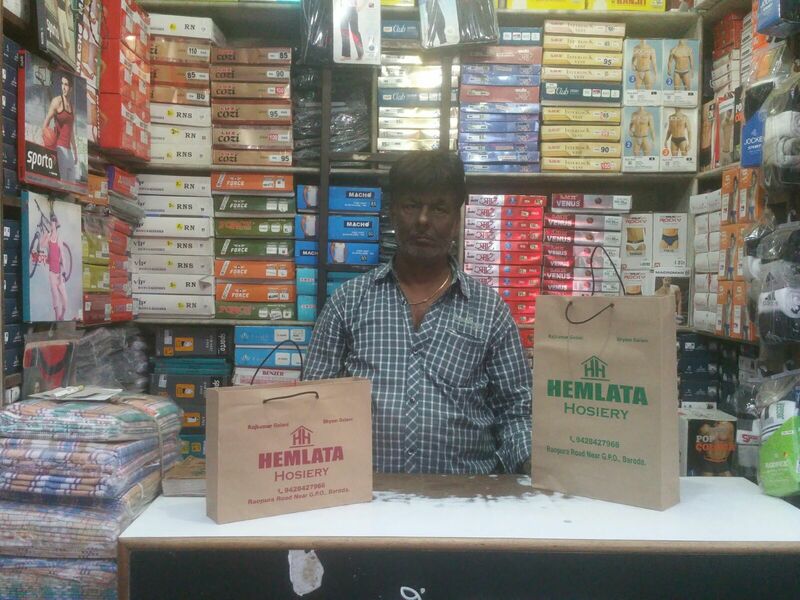 I asked him what kind of bag were he looking for and the purpose etc… to which he replied he wanted paper bags for his business, he said he has his shop at Roapura (Vadodara) and asked if we can visit him. I agreed and took down the address and his name, Raj Kamal. It’s the normal human psychology to assume certain kind of image of the person on the phone by the way he/she sounds. I had an instinct while talking to him that he possibly may buy the paper bags. I have learned this thing recently where whenever we are taking orders for the bags, I make sure to talk to the buyer personally and tell them the story behind the handmade hope so that they feel connected to the product as much as we are. And so far it has worked wonders. Same plan I had in my mind when I headed to meet the man who called from Roapura. As I reached the area, I started looking at the lane of the big stores on the street. I assumed it must have been one of the shopkeepers from somewhere here surely. I called him again to get directions. He asked me to come to nearby famous samosa wala and the next to him was his shop. 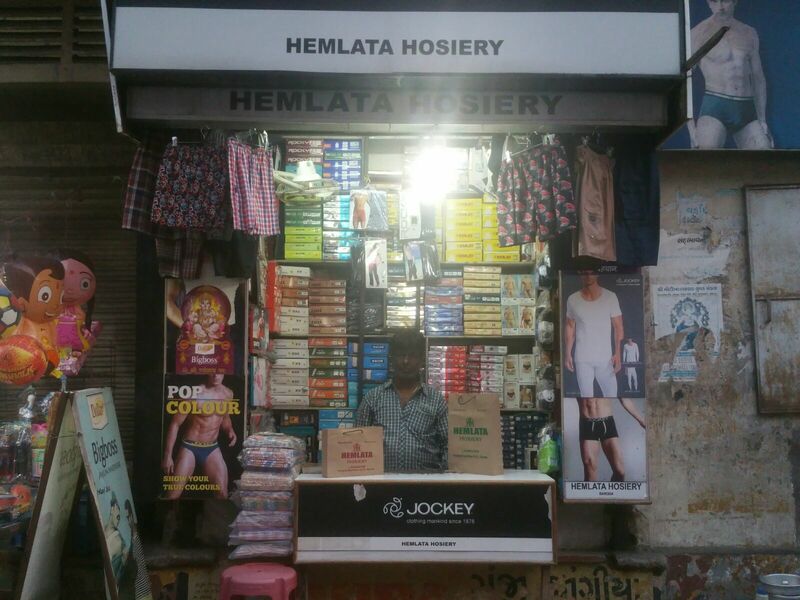 As I reached there, I was surprised to see that he was one of the street side vendors with a small shop of undergarments by the road side, HEMLATA HOISERY. It was much surprising as I expected some air conditioned shop. 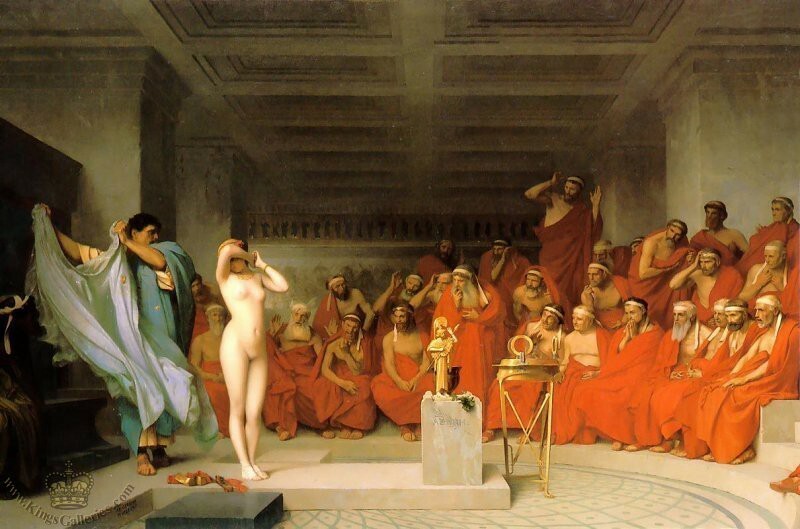 But his was a small shop of arm’s length with a marble separating him and his customers. I was standing on foot path, which was on other side of his shop and he was talking to me from inside. So he started giving his introduction and his needs of the bags. I showed him few samples which would go with his products. And we started discussing the price and quantity and surprisingly he agreed to the price. I was quite amazed when he told me his reasons to replace plastic bags by paper bags and the story of his shop, it had been his family business from a long time- his grandfather, father and now him, they have been into this business since last three generations. Also he said he had two children studying engineering and dentistry at the reputed colleges of the city who always insisted and suggested him to go Eco-friendly since the commencement of swach bharat campaign. Not to discourage him or anything, I told him he was right but it should fit his situation as well, because paper bags are not really cheap. He said he had to, no other option and was firm about using the paper bags only, also he was very much aware of the fact that the bags which are used in the market as ‘cloth bags’ are not really cloth bags but polypropylene bags made of plastics. After this, we discussed the order and it was finalized. We had our new customer. I was reading the facebook updates in the morning of happy rains back in Mumbai and by noon we also got our share of rains and amazing weather here in Vadodara. I thought let us tell the stories of Handmade Hope, our work space, our family, our people with all of you. There is one life to live, stories to tell and leaving everything on this virtual universe of our world when we go. So here are our handmade hope stories coming up for all of you. Well I don’t who all but yes here they are. To start with, one of my favorite story is our logo story. I was returning back to India crossing the international borders from Samdrup Jongkhar, border town of Bhutan. The roadtrip which changed the perspective of looking at life and the journey which brought an internal shift. Here was Priya, sitting on the back seat of our Tata Indica which was going to take us to Guwahati where the relatives of Ritu aka Softy were living and were going to give us an Indian Gujarati/Marwadi lunch which was the biggest craving after 15 days of Maggi Noodles life for a vegetarian in Bhutan. “Voila! That exactly what Handmade Hope is all about”, I said. The digitized version of the sketch is what is the logo of Handmade Hope which you see right here.